David joined the Health Servie in 2012 through the HR/OD Graduate Training Scheme and was placed in the BSO HR Department and HSC Leadership Centre. Since 2014 David has been a permanent member of the HSC Leadership Centre first as a Learning and Development Consultant and now as a Senior Consultant. In these roles David has worked with a range of clients across the Health and Social Care family at a senior level within organisations, at a regional level and with individuals. Within the Leadership Centre David takes a keen interest in Leadership and Organisational Development, Team Development, Quality Improvement and Coaching. David is currently the Course Director for the Postgraduate Diploma in Health and Social Care Management accredited through Ulster University. He has experience of designing, delivering and evaluating bespoke leadership programmes for a range of clients and has worked at a regional level including leading a series of regional AHP Development Intiaitives. Due to his HR background and skillset David is often requested to undertake organisational and service reviews. 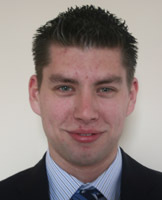 From a personal development perspective David is a qualified coach and works with individuals and teams in these roles. Additionally, David is accredited in a range of psychometric tools as can be seen below.